I was beginning to work on lunch today when my hubby asked me, “What are you making?” I did, after all, have some things in my hand, so he probably thought I had a plan. But as is often the case, my answer was, “I don’t know.” I had some ideas, but didn’t know exactly where they were headed. I think that’s one of the things I am finding most enjoyable in the kitchen…it is an adventure of sorts. I get to look around my kitchen, in the cabinets and in the refrigerator, and create something new and fun for us! I love that! I absolutely loved this meal! It was simple and easy to make, yet full of some of my most favorite flavors! Cut up the tomatoes, onions and cilantro. 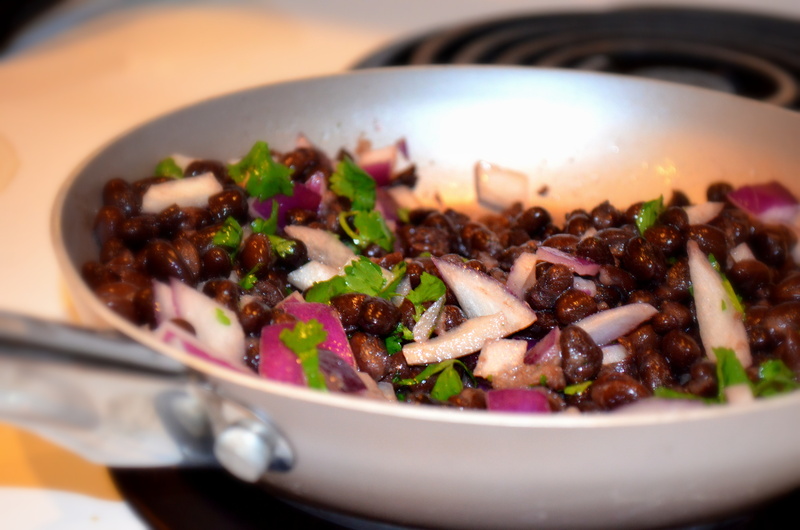 Put a tbsp of olive oil in a skillet, adding in the onions and cilantro, letting them begin to saute. Add the beans to the skillet, along with the cayenne pepper and lemon juice. Meanwhile, take an avocado and mash it up. I just used a spoon and it worked well. 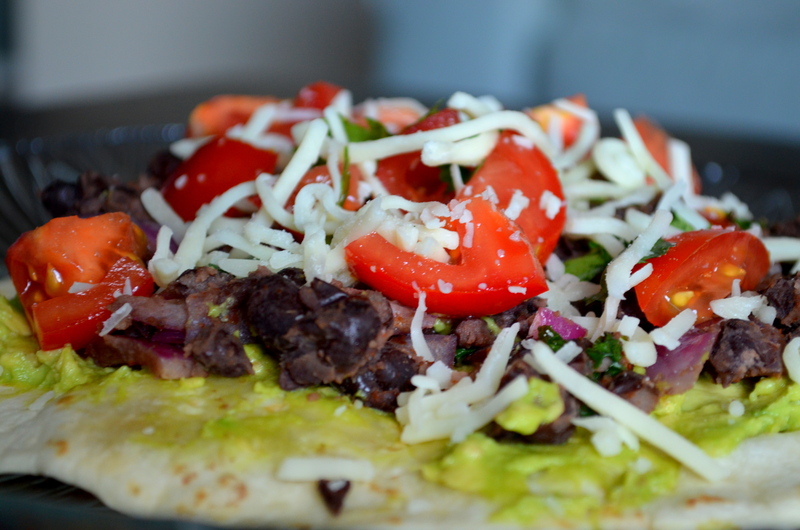 While the beans and onions are cooking, if you have a toaster oven, toast the tortillas in it. If not, you can broil them. You want them hard enough that you can hold and eat without utensils, but not so hard that they get burnt. 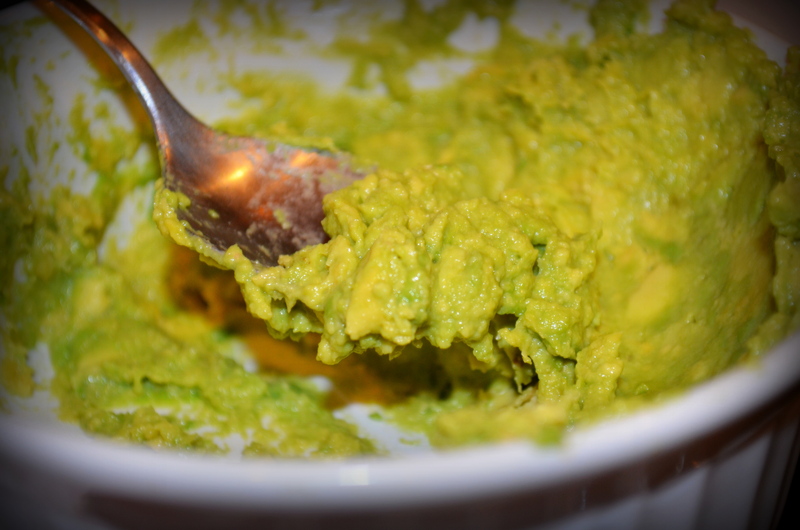 When the tortillas are ready, spread the mashed avocado over each. Split the bean mixture between the two tortillas. Add the tomatoes, a little extra cilantro, and the Monterrey Jack cheese to the top. Thanks Pang! 🙂 So happy you stopped by!